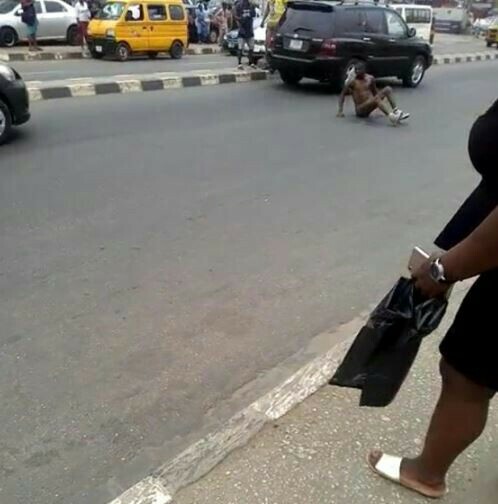 An unidentified man allegedly ran mad in the city of Lagos after he rushed out from a bank in the state and stripped himself openly. Some on social media are saying his 'Yahoo Plus' has failed. It is unclear what led to the shocking incident. This caused a scene in the area as the man laid on a motorable road and derailed vehicular movements.